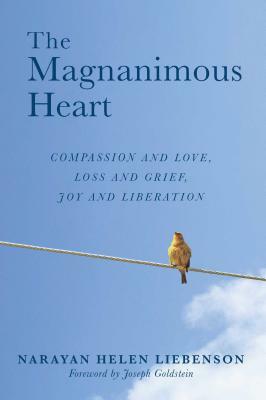 In her long-awaited debut, a beloved master teacher shows us how to move from the “constant squeeze” of suffering to a direct experience of enoughness. The magnanimous heart is a heart of balance and buoyancy, of generosity and inclusivity. It allows us to approach each moment exactly as it is - fresh and alive, free from agendas and shoulds, receiving all that arises. It has the capacity to hold anything and everything, transforming even vulnerability and grief into workable assets. Narayan Helen Liebenson is a guiding teacher at the Cambridge Insight Meditation Center and has been teaching there since its inception in 1985. Narayan is also a guiding teacher at the Insight Meditation Society in Barre, Massachusetts, where she offers residential retreats. She leads retreats as well in other parts of the country and the world.